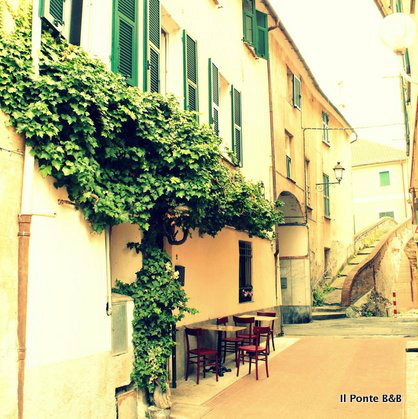 Bed & Breakfast "Il Ponte" (The Bridge) is located in a strategic point within Albisola Superiore (Savona), close to the highway entrance and to the train station, foresees public car parking nearby, and allows reaching the seaside in few minutes. Many places of interest may be reached in few minutes drive. A golf club is present in Albisola Superiore too. DETAILS BELOW ARE UNDER UPDATE! B&B provides two double rooms, with bath, air conditioning, nice and traditional furniture. It is also possible to add a third bed into the room. Prices vary between Low Season and High Season. High Season is between June 1st and September 30th, plus National Holidays. Write us an email or call us to receive information about availability, rates or anything else, which might be useful to decide for your staying at our B&B. Our B&B can be easily reached by car or by train. Check on the map for the directions to the B&B. Who uses the train may look at the Italian Railway site (English version available).